If you're friends with me on Facebook, you might have noticed the last few days I've had 2 different Halloween patterns as profile pictures. 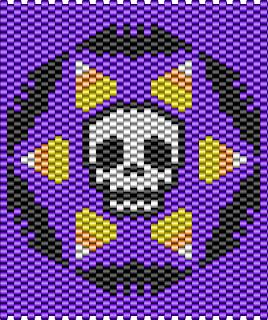 Here are the patterns as used on Facebook and the flat versions if you'd like to bead them. Jennifer B. already did one of them and if she gives me permission I'll post that photo later! 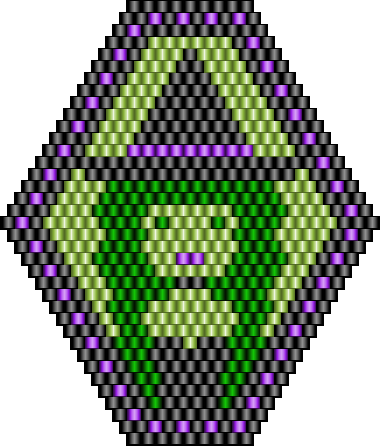 Click on the images to see them full sized. 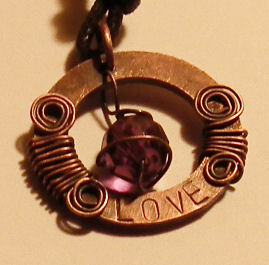 I posted a new article on BellaOnline, Copper washer necklaces!